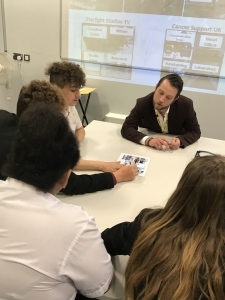 Future First is pioneering a three year project that will see alumni support a group of students in need from Year 9 through to Year 11. The students have been specially chosen because their schools believe that they will benefit the most from this opportunity. 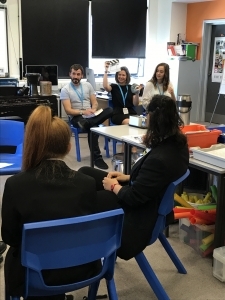 Former students will work with the group in a series of bespoke Future First workshops to raise their aspirations and help them overcome barriers to achieving their potential. Session one’s theme was ‘knowledge and inspiration’ and focused on students getting to know alumni and gaining an insight into the different careers available to them. Students were amazed to hear about Lilian’s journey and the barriers she has overcome to build a successful career. Lillian left school with five O levels and her first job was in a job centre. She did her first degree in her mid-thirties. Now she is studying for her second degree whilst working with organisations across the world to help them develop people’s potential. 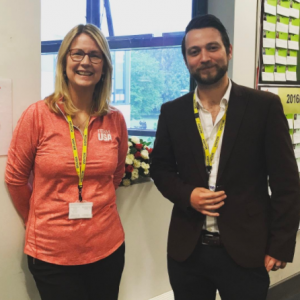 Shane and Lillian worked with pupils on a series of activities to help them broaden their knowledge about all the different career options available to them, many of which they’d never heard before. The group chatted about some of the new jobs they had discovered. 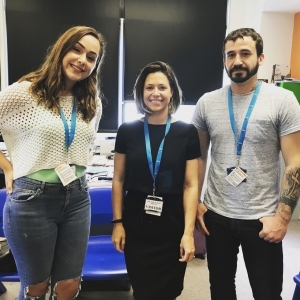 One student said she thought she’d enjoy being a copywriter and another said he would like to research what being a recruitment manager involves. All three former students talked openly about the difficulties they faced at school and in their personal lives. The most recent leaver of the three, Bethany, was able to give students with responsibilities and issues at home someone to relate to. She told them all about how she had overcome these problems which had once been a threat to her education. She had really started to fall behind when a teacher, who is still at the school, spoke to her and managed to encourage her to turn things around. She told students it’s important to ‘be honest with your teachers, they’re not the enemy’. Bethany was the first person in her family to go to university and now she is about to start a year teaching in Costa Rica and plans to carry on teaching when she returns. Mark told students how he also struggled at school because of issues in his personal life but as he got older he started to realise his future ‘wouldn’t be bright’ if he carried on like he was. He said it was ‘the biggest wakeup call of [his] life’. It was only after he’d left school that he started to ‘knuckle down and focus’, meaning he had to study hard for a long time to do an access course which eventually led to him doing a law degree. 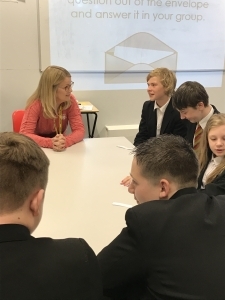 In the coming weeks alumni will work with these groups of students across two more sessions, helping them develop strong verbal communication skills. At the end of the year the students will do a mock interview in a work setting before starting to work with alumni again in Year 10.